Induction Sealing SystemsInnovative People. Ensuring Your Sealing Success. What is E-commerce Packaging & How Do Cap Sealers Play a Role Watch Now! Watch the video above to learn about what cap sealers do. 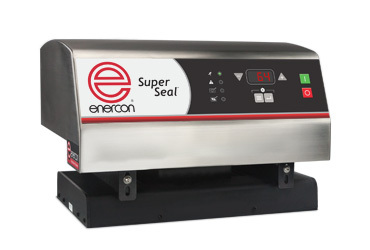 Induction cap sealers create a hermetic induction seal that prevents bottles from leaking, provides tamper evidence and preserves product freshness. 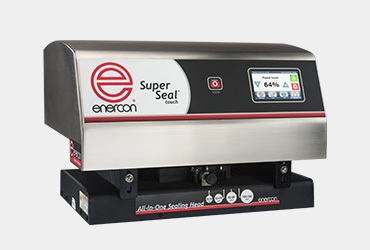 Our induction sealers are the world’s leading cap sealing brand. Super Seal™ induction sealing technology has sealed over 50 billion containers around the planet. 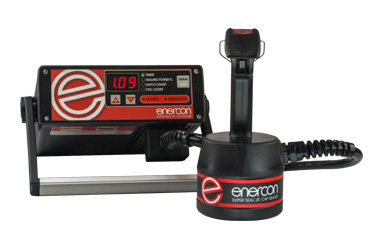 From manual hand held cap sealing to high performance production line cap sealers Enercon offers the most diverse range of induction sealer technology on the market. 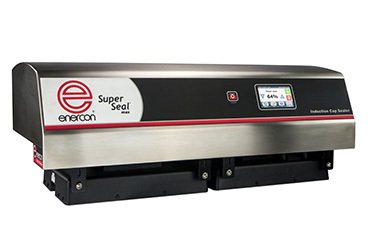 Our Achieve a Perfect Seal pledge guarantees you access to the industry’s most comprehensive induction sealer support. From free induction sealer application testing, to field service and support we’ll help you Achieve a Perfect induction seal to protect your products, improve your productivity and safeguard your reputation. Enercon’s global application expertise in the food, beverage, dairy, pharmaceutical, nutraceutical, healthcare, cosmetic, chemical, petroleum and other packaging industries are world class. And our innovative people are committed to your cap sealing success. We invite you to contact us to review your next induction cap sealer project. Most powerful cap sealer with full feature set. Sealing power with intuitive touch screen interface. The flagship model offers reliable sealing and proven technology. Designed for labs and manual packaging operations.